LED Video Walls From Rythm EFX Are A Must Have! Whether you want to showcase your brand, a promotion, a video, or even some incredible displays for your show, our LED video walls are the perfect addition to any event or show! Fully customizable for any visual display you desire. Display anything you want form your brand to videos, graphics and more! Few things can give off the look and feel of legitimacy as much as an LED Video and Light Wall. 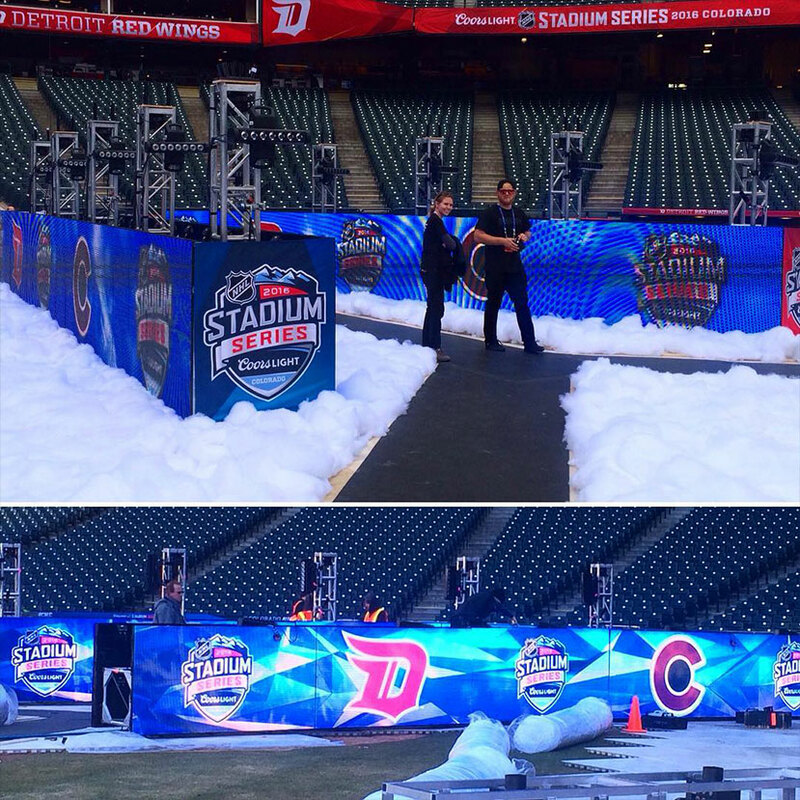 With a crisp image, you can make a huge impact on an audience using one of these displays. While you might think an LED video wall is out of your price range, you’d be surprised how affordable they are to rent, especially from Rythm EFX. And, thanks to the massive advancements in LED display technology, LED light displays are lighter, more flexible, and provide sharper images. Because the LED is lighter and more flexible, this means that these light displays are easier to assemble and reassemble. Much of the reason people hesitate when thinking about renting one of the displays is the labor in which to set them up and take them down. Not anymore! With the advancements in this type of display, using a LED wall is easier and better than ever! For many years, video walls were essentially large television sets, which meant they were heavy, difficult to set up, and did not offer much freedom to make creative designs. The flexibility and shapes of LED video and light walls make it possible to curate an entirely unique light effect that will astound everyone around it. Pretty much anything you can think of can be done with these wondrous walls. One of the biggest benefits this technology has over classical video walls is its ability to produce a crisp and bright image, even in broad daylight, without any glare distorting the display. The Oracle Black Widow HD-9 is even rated IP-65 for water resistance, making it perfect for outdoor events, regardless of weather conditions. This means that outdoor concert venues, festivals, and any outdoor celebrations could benefit from these walls.The technological advancements to LED walls have opened up many different options for video and light displays. And, because of this, your even can reach a whole new level of presentation. If you want to really make an impact on people attending your event, few things work as well as a LED video and light wall. 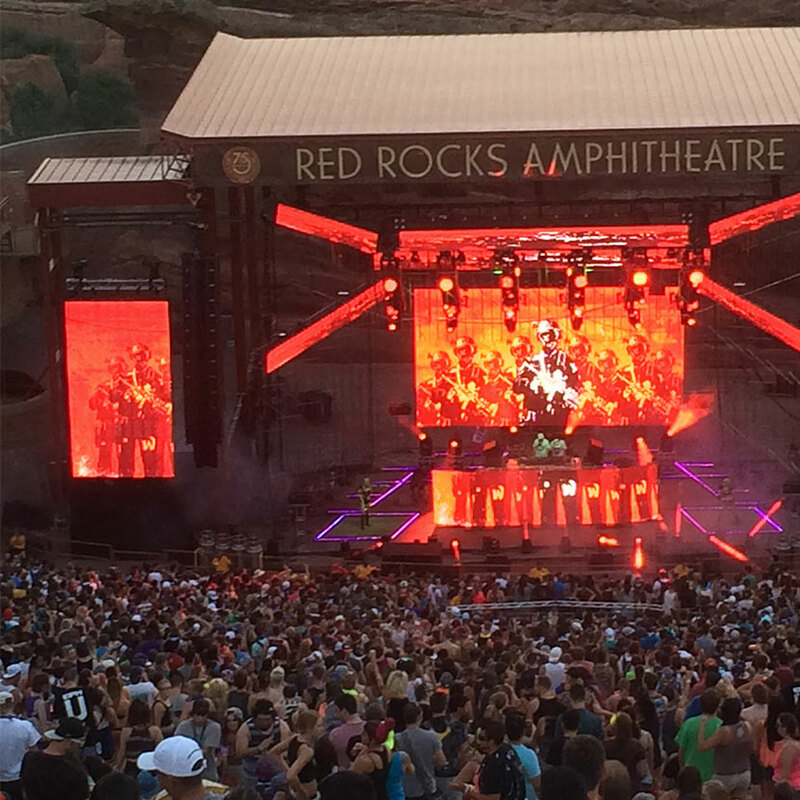 What venues or events would benefit from LED Video and Light Walls? Well, pretty much any event really! Any celebration that requires people to join together to celebrate or witness an important event would benefit from an LED wall. With one of our towering walls, any display can be seen for miles. If you have an important message to share, the LED walls are ideal. 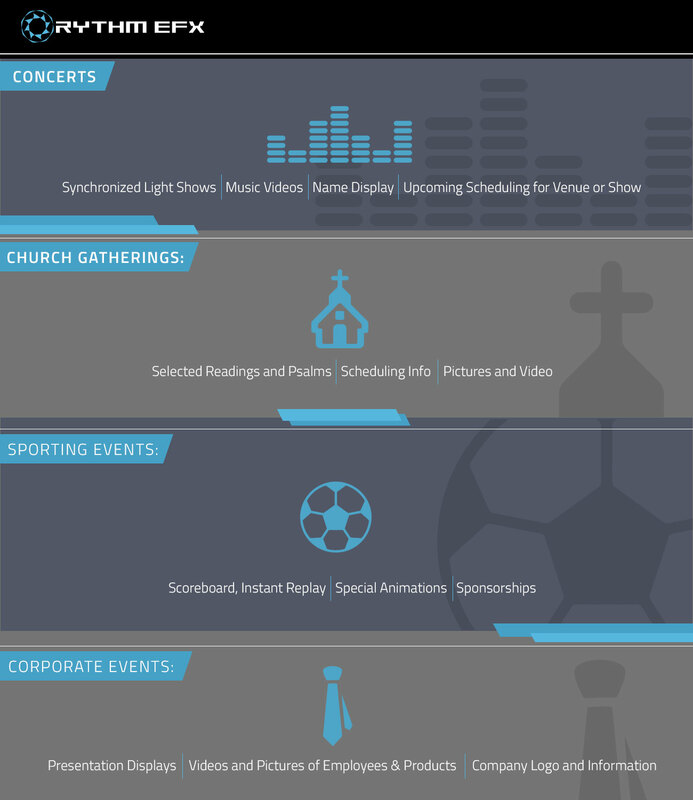 We have compiled a small list of just some of the events that would benefit from our LED walls. If you are planning any one of these celebratory events, perhaps LED Video and Light Walls are just what you are looking for. 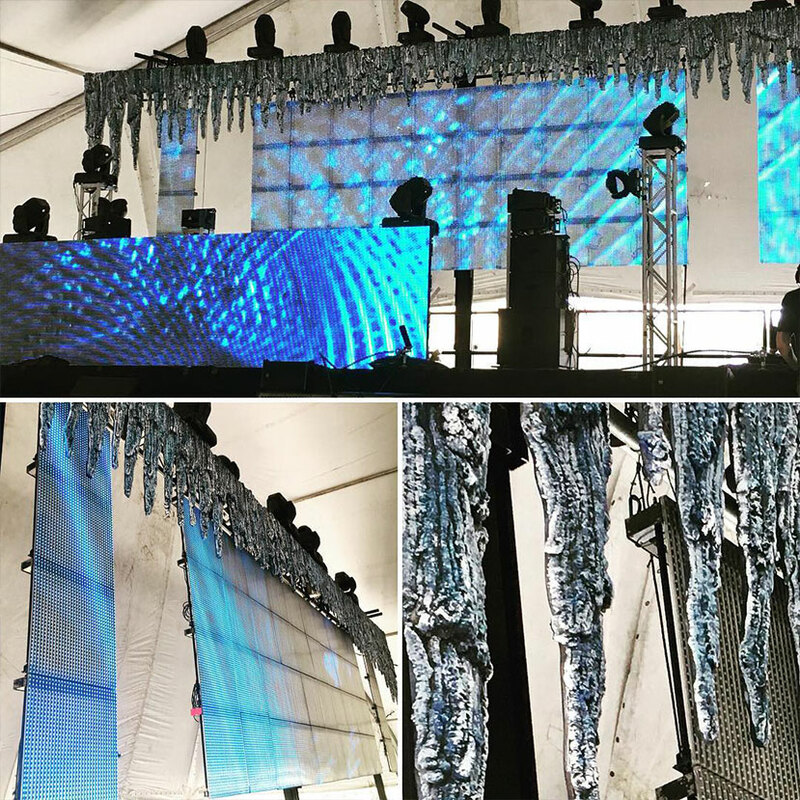 Whether it’s a synchronized light show moving to the music, the band’s name on full display behind them, or a rock video adding a whole new level of depth to the performance, there are nearly endless possibilities for how an LED wall can add to a concert or music festival. You can even use one to display the schedule for the night in an easily readable form so everyone can keep track of the night’s events. When it comes to concerts, you want to make sure that all of your resources are used primarily to improve the experience of the audience. At a concert, you want spectators to get lost in the wonder of lights, music, and video. If you are interested contact Rythm EFX. We have something for your venue! An LED wall can display the selected readings for the day so everyone can follow along during normal church service, or it can be used to add another layer of depth for other types of church events. It could be set up to cycle through different quotes, scheduling, or just nice pictures to help bring together a specific theme for the event. And, for hymns or songs, having a large electronic display can help everyone keep up with the music and lyrics. Whether you are celebrating a church event or celebrating your faith, an LED wall can help improve effective communication for an entire congregation. LED video walls can be utilized to great effect for a wide range of sporting events. Whether they’re used to display the score of the game and other statistics or they’re combined with Image Magnification Equipment (IMAG) for instant replays, it can totally change how fans watch the game. They can even be used for displaying sponsorship information for companies that have purchased ad space for the event. And, aside from advertisement benefits, the LED walls can also be implemented to boost audience participation. All you will have to do is program a special animation for when a player hits a home run or scores a goal to add even more excitement to the game. There are a lot of options that open up for corporate get-togethers with an LED video wall. 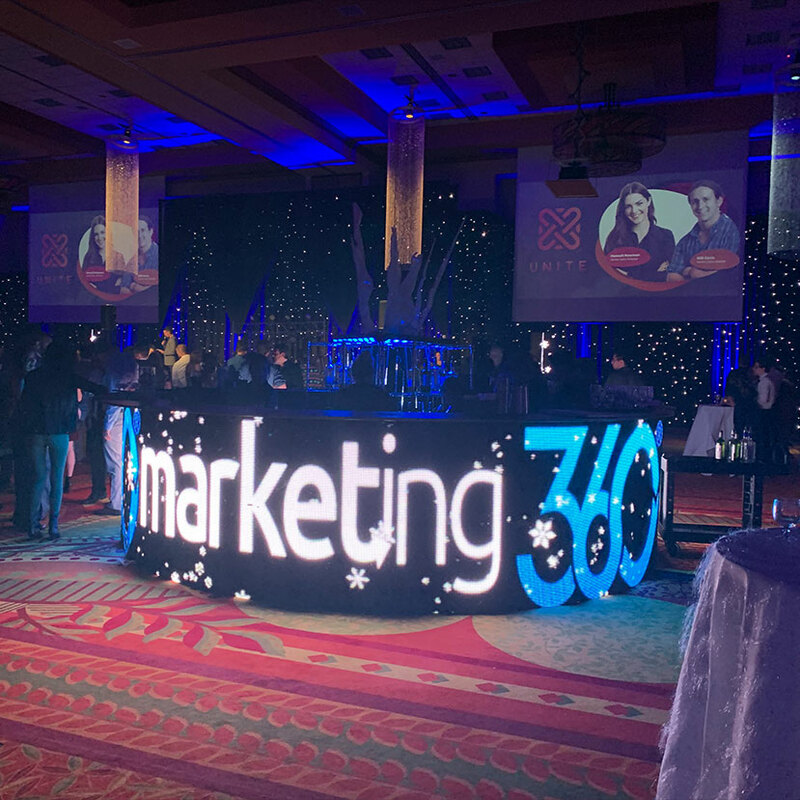 Using it to display a presentation, running pictures of the employees, or even just putting out your company’s logo in bright, vibrant lights can all make an event feel like something truly special. Your employees and co-workers will feel a new sense of pride in where they work when they see their logo on a beautiful screen for everyone to see. This also helps give your event a level of presentation that is very attractive if you’re hoping to bring in new businesses or partnerships with other companies. If you are looking for an LED video wall system in Fort Collins, Denver, or the surrounding Colorado areas, Rythm EFX is the event production company to call. We put everything that we have into our event production work, and our state of the art LED video wall systems are no different. They can prove to be a huge boon to a wide array of events, including corporate gatherings, church gatherings, and conventions. And while those are some of their more popular uses, there are plenty more niche ones as well. Here are just some of the benefits you could reap by employing a video wall at your event. A video wall can clarify communication in all kinds of ways. Words, images, videos, they can all be used to accentuate your verbal points. With the right software, anything you can imagine can be designed and put on screen. Often, a lack of visual stimulation is a bane for all but the best orators. Give yourself a little slack, and let the screen do some of the talking for you. One of the lesser used, but just as viable, reasons for a video wall is to provide easy to access information to large crowds where it would otherwise be difficult. Are you a retail store? Put up your best deals and locations to find them. Trying to regulate traffic? Create an easy to read map for simple navigation. The bigger the crowd, the more necessary and effective a video wall could be. Want to add an interesting depth to your event? Turn your video wall system into an interactive experience! There is no better way to make people engage in information that they might otherwise have trouble with. Your video wall can actually be linked to smartphones or tablets in different ways, to further customize your interactive experience. 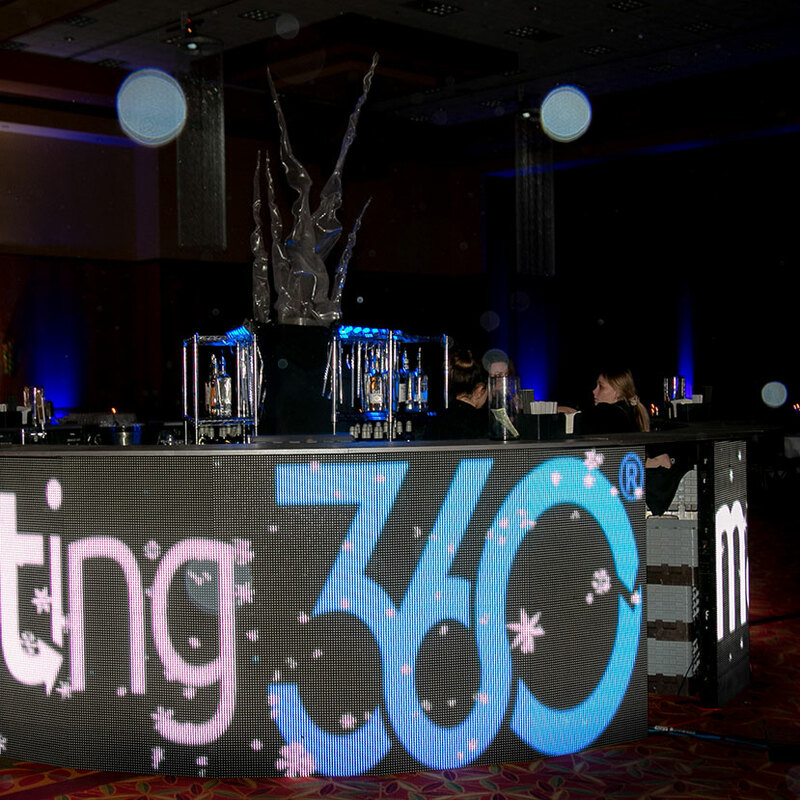 No matter what type of event you’re putting on, adding LED Video and Light Walls make a definite impression. Call Rythm EFX today to learn more about our LED Video Wall services.